* The city walls – Only one of the three gates still remains. * Kaleici Camii – mosque built in 1618 for Grand Vizier Okuz Kara Mehmed Pasha. 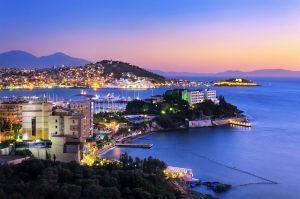 * Guvercin Ada – the peninsula at the end of the bay, has a castle and swimming beaches, including a private beach and cafe with a view back across the bay to the harbour of Kusadasi. There are public beaches at the back of the peninsula, on the open sea side. * Kirazli Village – traditional Turkish koy 12km from Kusadasi reached by scenic drive over gorge. Well visited by Turkish citizens looking for a return to nature and enjoy the cool breezes during the hot summer months and amazing views. * Yilanci Burnu – a second peninsula beyond Guvercin Ada. Possibly the location of the original settlement of Neopolis. Some walls are visible. There are more beaches and beach clubs here. * Pygale – 3km north, the small point behind Hotel Pigale. Once refuge of Agamemnon. Still to be excavated. * Also several aqua-parks with wave-pools, white-water slides are located near the town: the largest are NBGS International’s Aqua Fantasy, along with Adaland and Aqua Land. * Ladies Beach – near the town, next to the Imbat Hotel, named because it was once segregated for female bathers. Now open to all and quite busy. * Panionium – 25 km (16 mi) south of Kusadasi, on the Davutlar-Guzelcamli road. Once the central meeting place of the Ionian League. The ruins are in poor condition and their authenticity is disputed. (See Panionium).